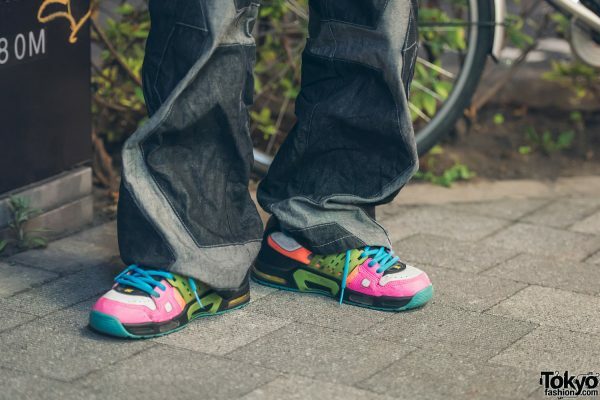 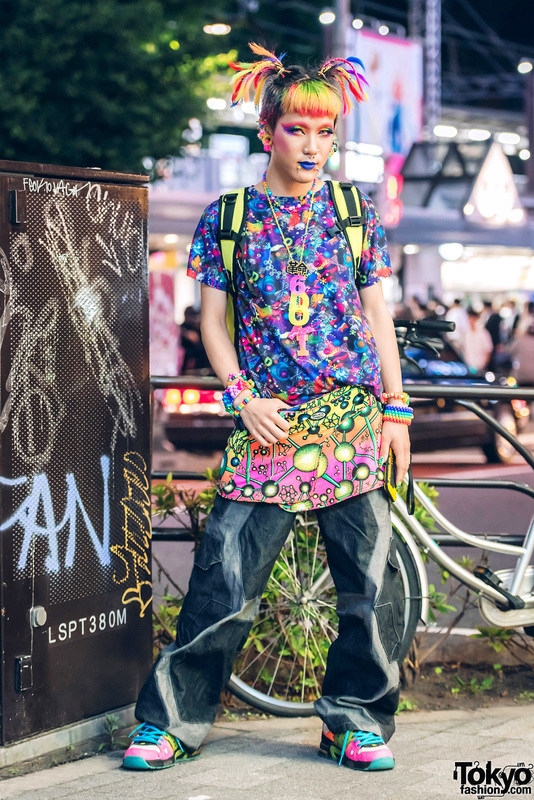 While on the street in Harajuku, we met Kanata, a 6%DOKIDOKI shop staff who we regularly feature in our street snaps. 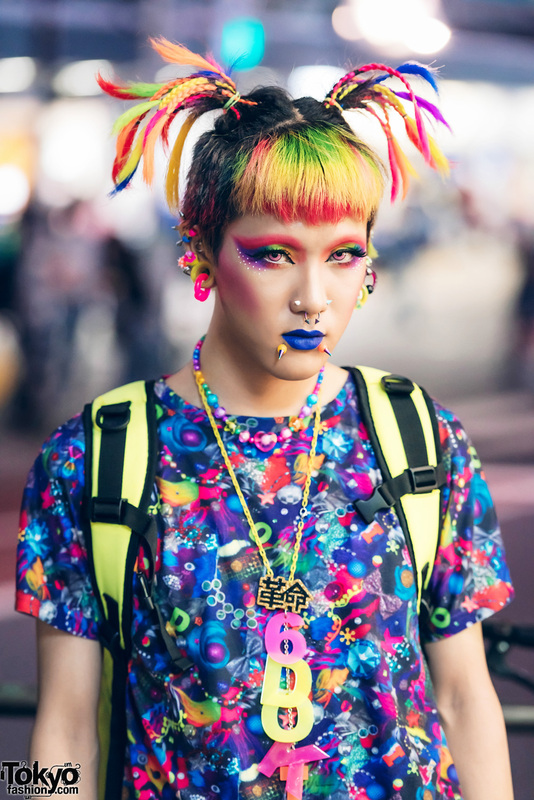 Today, he caught our eye with his colorful ensemble and his rainbow-colored hair. 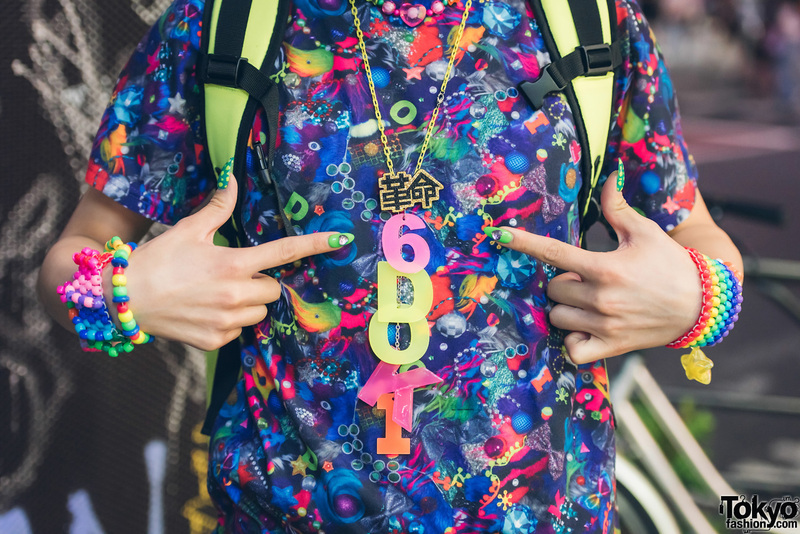 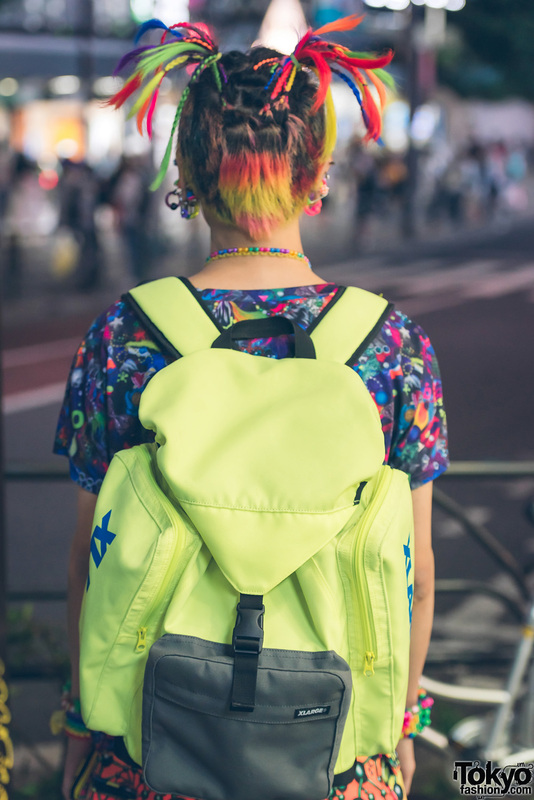 Kanata’s outfit features a colorful printed t-shirt from the legendary Harajuku kawaii brand 6%DOKIDOKI, a printed skirt from Cyberdog over denim pants from Space Tribe, colorblock sneakers, and a neon green backpack. 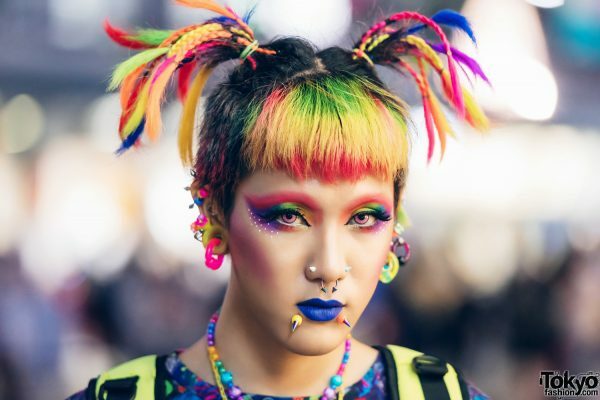 His accessories include multiple earrings, gauged earrings, layered necklaces, facial piercings, and multiple beaded bracelets. 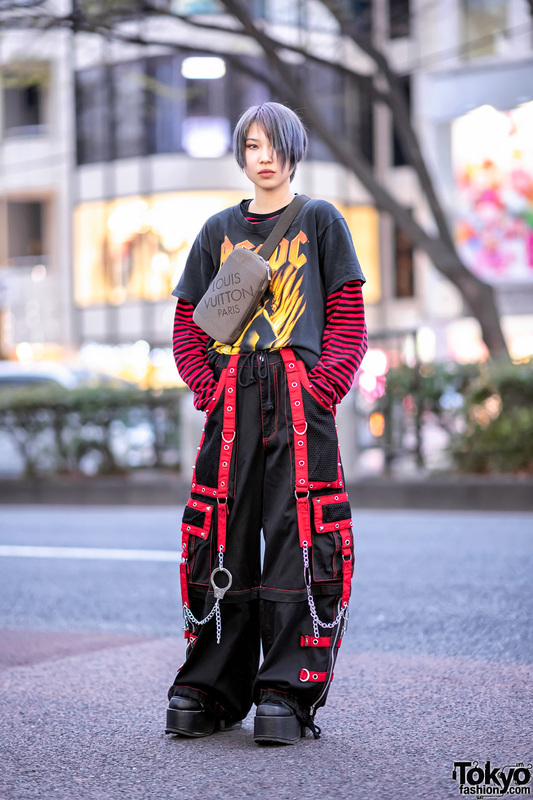 For social media updates, follow Kanata’s Instagram.